BURLINGAME—The Burlingame City Council conducted a special meeting June 22 with two items on the agenda, personnel and the city swimming pool vacuum cleaner. Burlingame Mayor Ray Hovestadt and all council members except Carolyn Lee were present. A motion was made by Burlingame City Council Member Vikki DeMars for an executive session for discussion of non-elected personnel. The session was extended one time, after which Burlingame City Council Member James Nelson introduced a motion to suspend Burlingame Police Officer Edward Dudley without pay, effective immediately until the next regular council meeting. The motion was approved by a 4-0 vote. 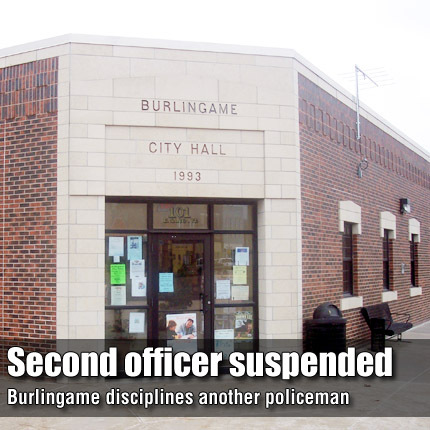 The action was the second time in about a month that a Burlingame officer had been suspended. The council suspended officer Anthony Richman without pay during a May 20 special meeting. The Osage County Sheriff’s Office arrested Richman the next day.